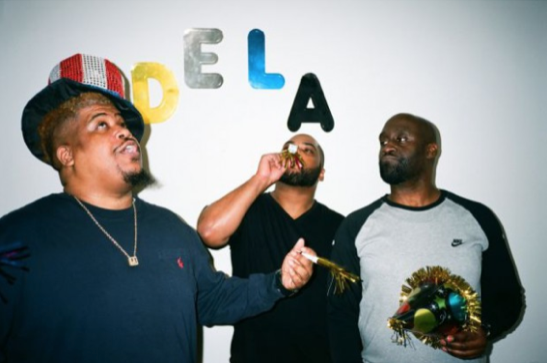 Hip-hop legends De La Soul are set to play this year's House Of Common festival in London. The Clapham Common event takes place during the August Bank Holiday, and will be curated by none other than Madness. Taking place on August 28th, House Of Common is set to welcome De La Soul to this year's event. The hip-hop legends pioneered the Daisy Age, before opting for a hard-edged sound courtesy of a then little known producer called J Dilla. New album 'and the Anonymous Nobody...' emerged last year, with De La Soul recently playing a completely sold out show at London's Roundhouse venue. Madness say: “Madheads, Carnival heads and madkids united to revel in the sunshine on Clapham Common for the first ever House of Common in 2016, it was the highlight of our mad year and we’re now spending these cold hours and days planning how to make 2017’s even better, we’ll worry about the entertainment, you bring the sunshine”. House Of Common takes place on August 28th.